Hackers and cybercriminals are constantly refining their attacks and targets, so an agile web vulnerability tool is a necessity in order to protect your organization and assure your customers that their personal info is protected. Learn how an automated vulnerability assessment will identify your exploitable weaknesses and show you how to correct them to protect against hackers. 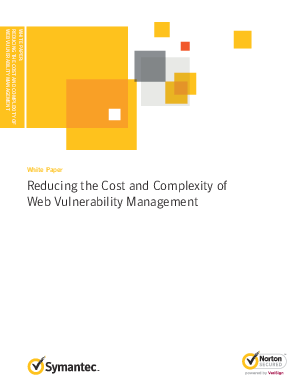 Download this whitepaper to learn how to reduce the cost and complexity of your web vulnerability management and see how you can better protect your website and customers.